One of my favorite accessories for fall weddings is a great scarf. Most wedding start early in the evening when the weather is still warm and end late into the night when the cool fall breezes have found their way in. 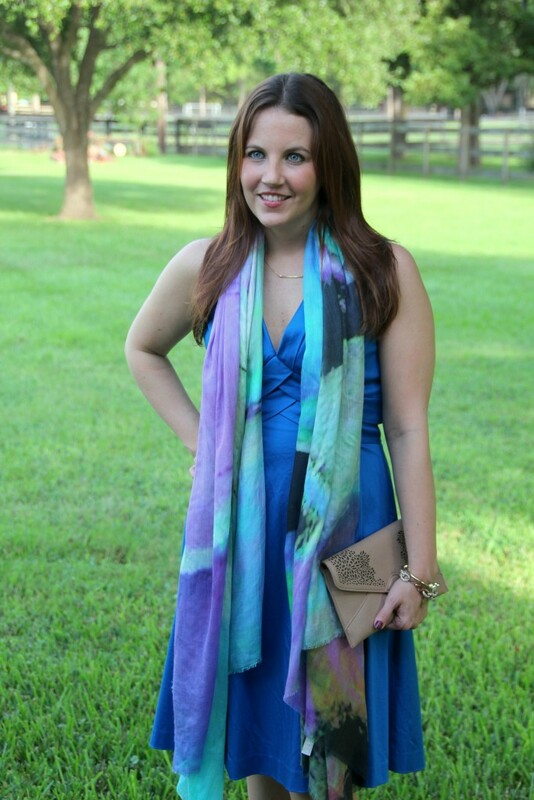 As an alternative to a light sweater or jacket, I love to carry a scarf that can be worn for the entire event. 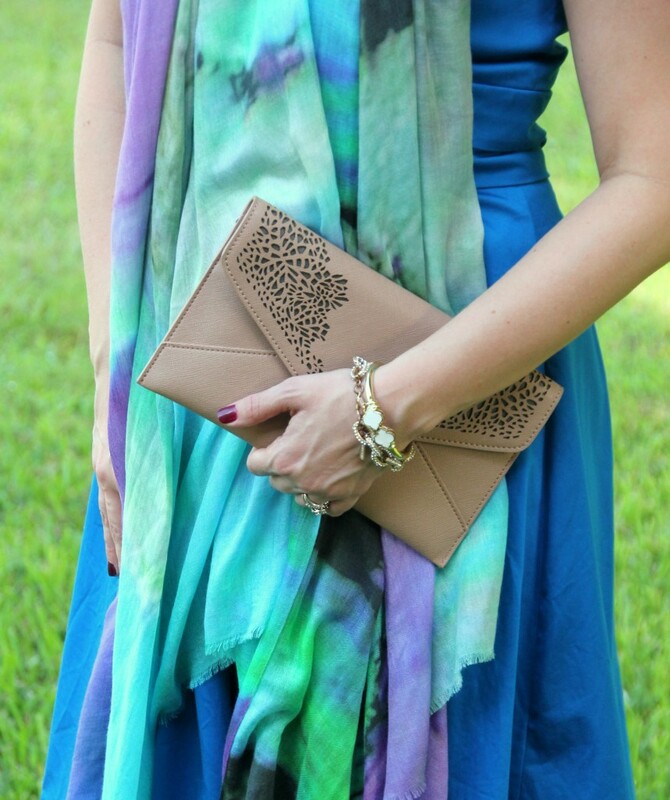 I love how this scarf looks draped against the dress in what is probably the easiest way to wear a scarf!! For the evening, it is as simple as opening it up and creating a shawl to keep you warm. While I do own a couple solid color scarves for just this occasion, I have fallen in love with these scarves from Manoosh. 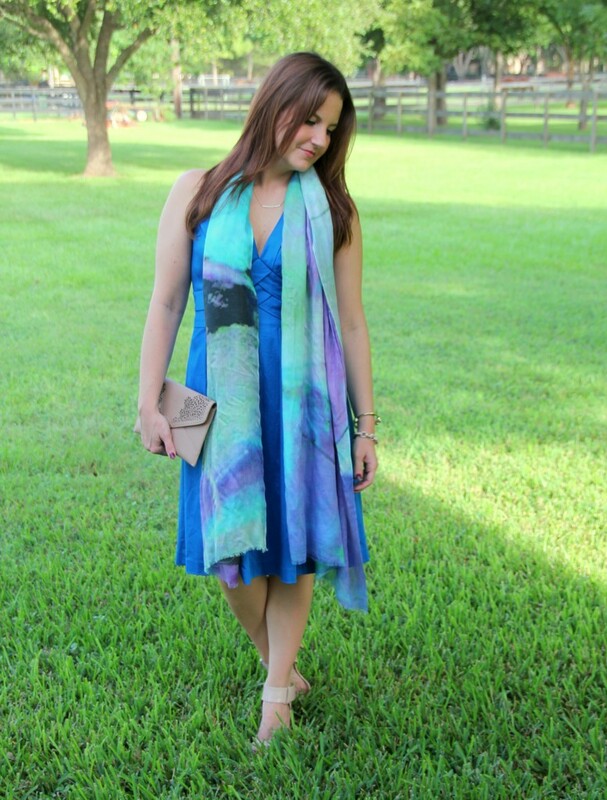 Every scarf is based on an abstract work of art. 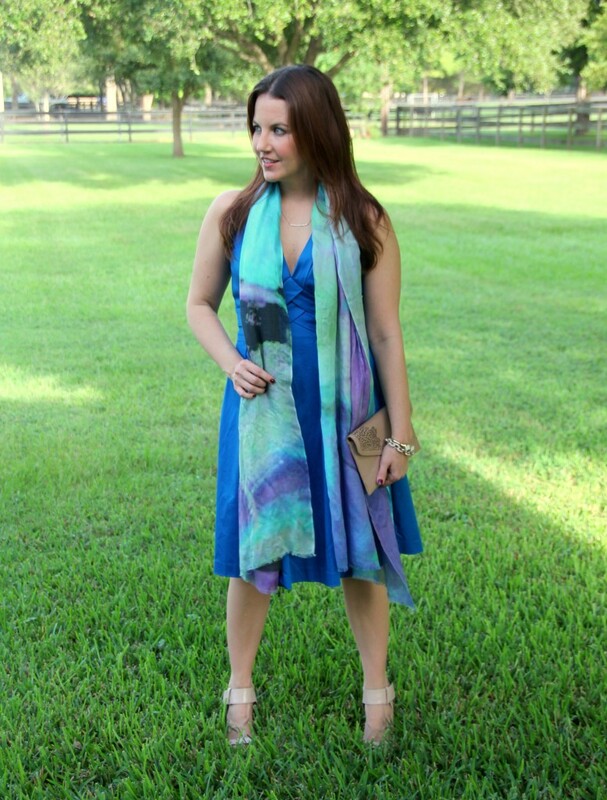 I love how every way I wear and style the scarf, I see a new set of colors and a new design. 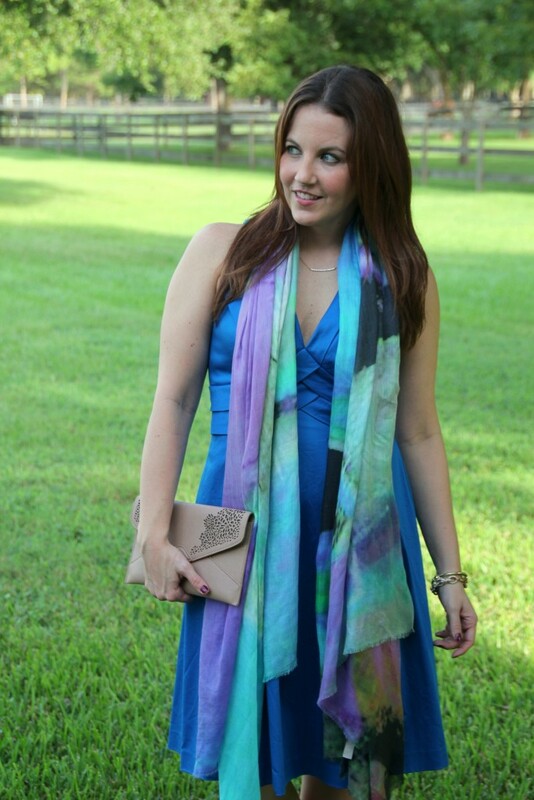 For a wedding or evening party, this scarf paired with a blue, purple or black dress would be perfect. To add more versatility to the scarf, you can also pair it with just a plain old tee, boots, and jeans. 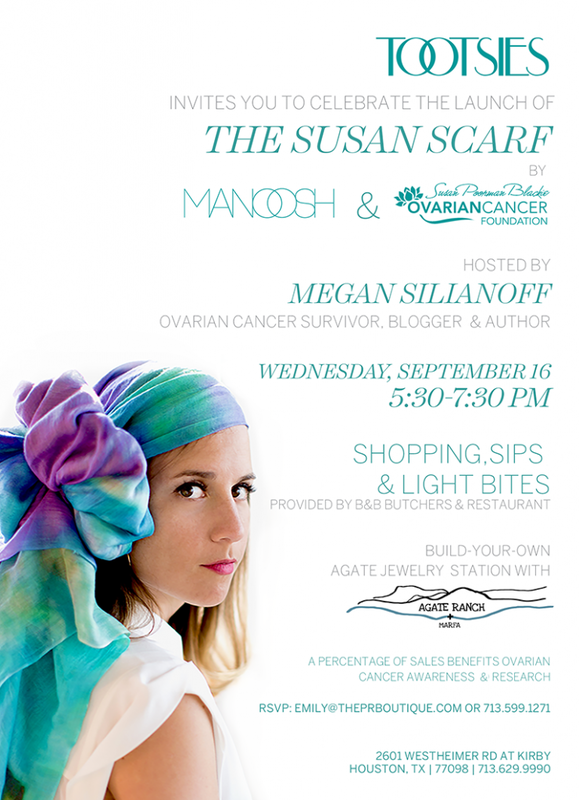 In honor of National Ovarian Cancer Awareness Month in September, Manoosh has partnered with the Susan Poorman Blackie Ovarian Cancer Foundation to create this scarf called the “Susan Scarf,” named in memory of the foundation’s namesake and creator, who passed away last year. All proceeds from the sale of the Susan Scarf support ovarian cancer awareness and research through the Susan Poorman Blackie Ovarian Cancer Foundation. 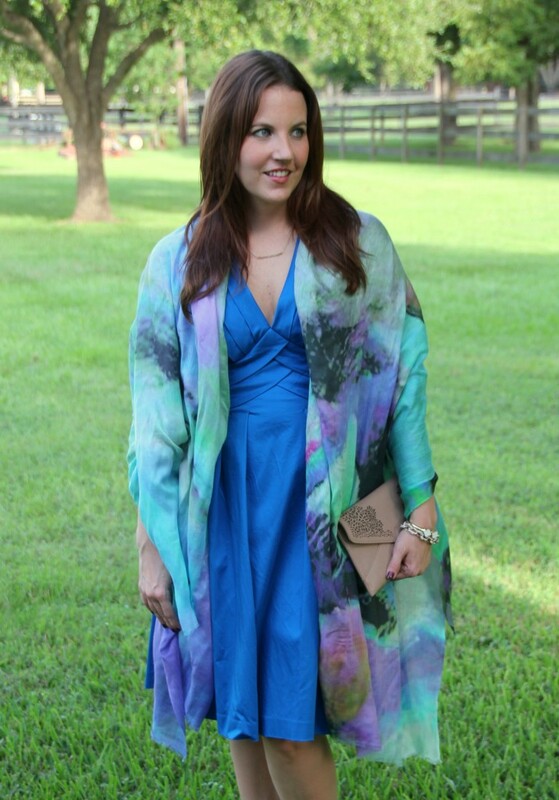 For my Houston readers, I would love to invite you out to an amazing event next Wednesday to celebrate the launch of the Susan Scarf. 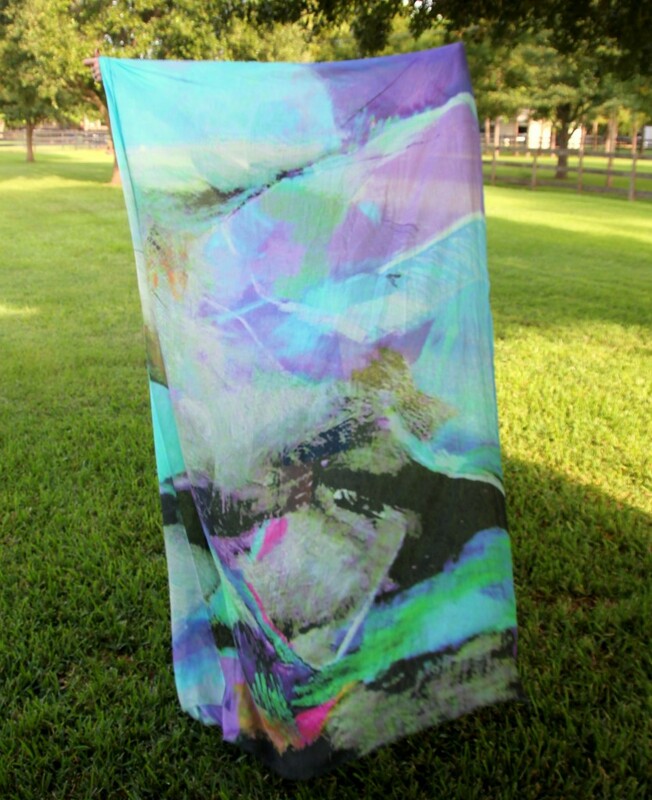 You can see more of Manoosh’s amazing scarves created from the art of Marilyn Biles at the event. 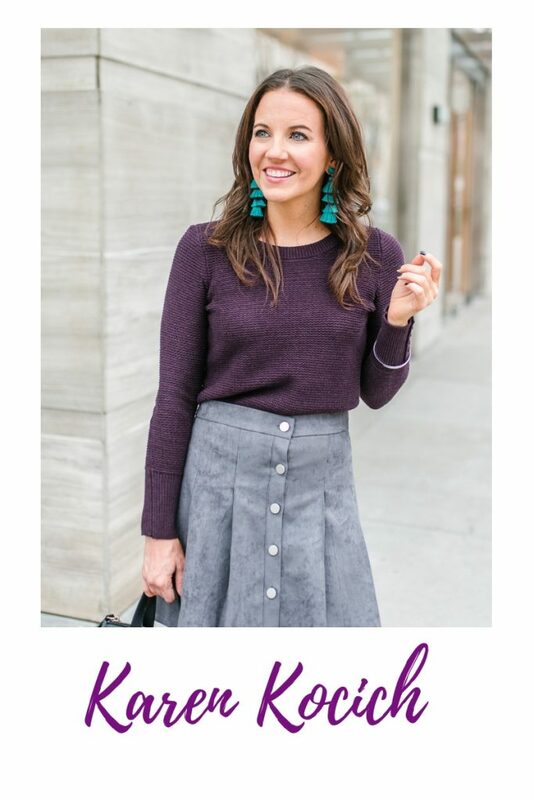 Tootsies and my Houston blogger friend, author and ovarian cancer survivor Megan Silianoff will be hosting the cocktail party which will feature bites from B&B Butchers and live sketching by fashion illustrator, Rongrong DeVoe. I have attached the event flyer with more info and the RSVP information. I hope to see you there! 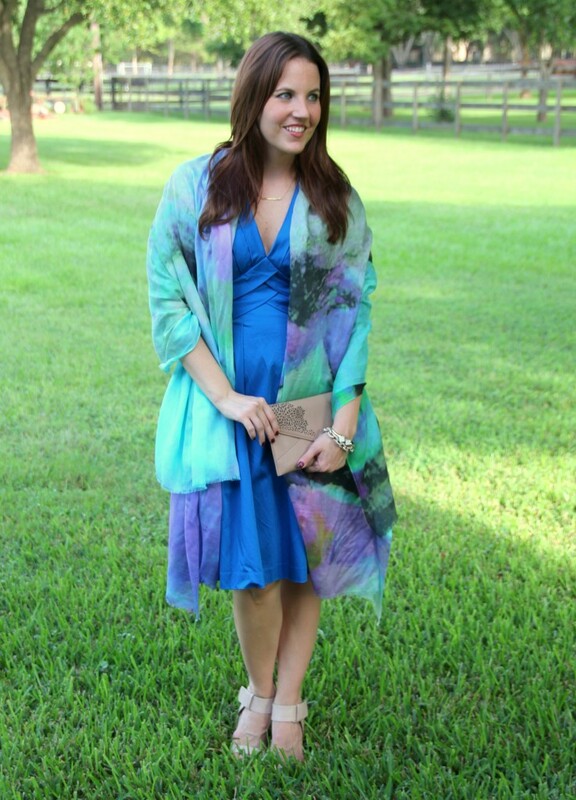 A beautiful outfit for a fall wedding and that stunning scarf is such a perfect touch! Gorgeous dress! 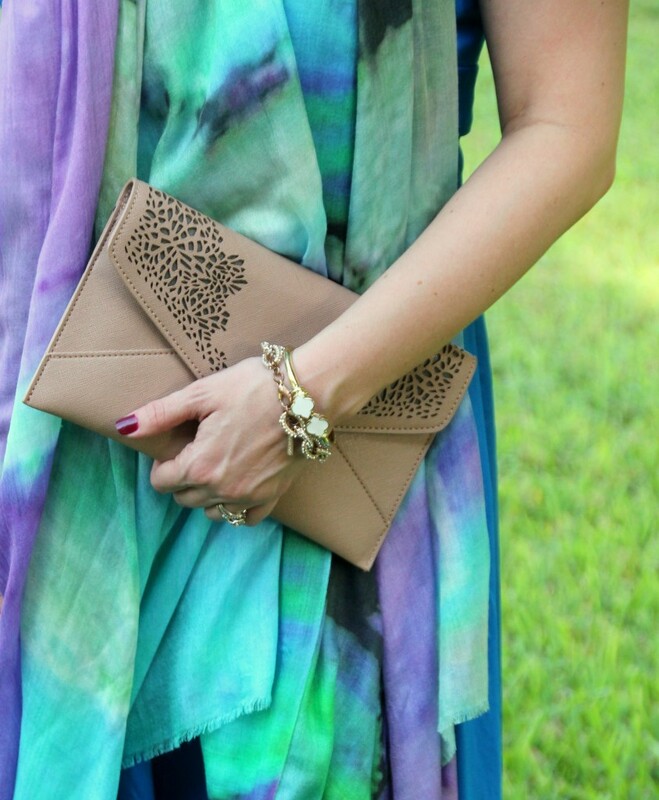 That scarf is the perfect addition! 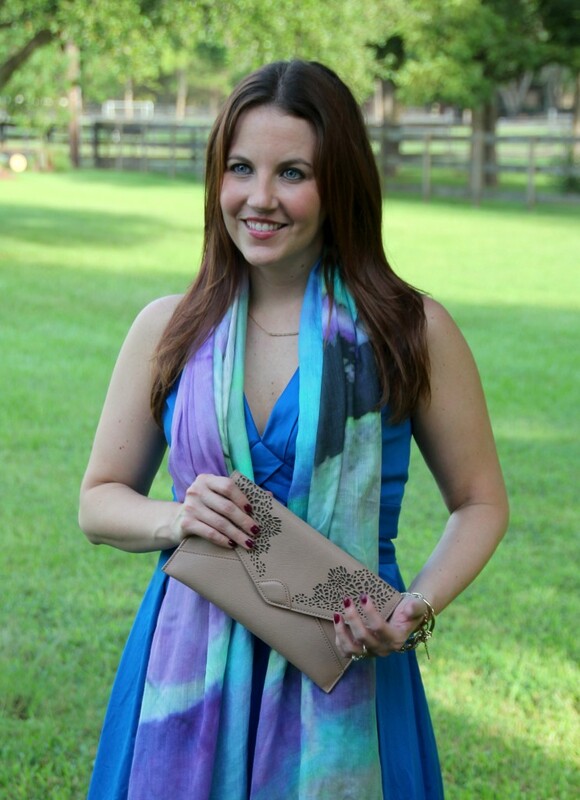 What a gorgeous scarf, and such an amazing event for an amazing cause. I fundraise every year for the Australian Ovarian Cancer Research Foundation by wearing 30 dresses in 30 days. This year, I’m having an operation in October, so I’m just going to wear four fabulous frocks – one a week. wow, this outfit is incredible! love it!! That scarf is just gorgeous!